WEBINAR SNAPSHOT: Learn how to handle CGLI issues in Alabama. A Commercial General Liability Insurance Policy is a common way for a business owner to manage risk and shield themselves from expensive litigation when something goes wrong, be it personal injury, negligence, or other tort claim. But what exactly do such policies generally cover? Are you prepared to advise an Alabama client hoping her CGLI policy will cover all loses and claims? Conversely, are you armed to defend the policy underwriter who has denied a claim? We live in a litigious society, so business owners can expect to be sued. It is more important than ever that, whether representing an insurance company or a business, you are up to date on the latest case law developments in interpreting CGLI policy. Use this quick and valuable on-demand webinar on Commercial General Liability Insurance Policies in Alabama. Your presenter will explain how to make a case for or against applicability of a policy and counsel clients accordingly. Commercial General Liability Insurance in Alabama: What’s Covered, What’s Not? — is just $99. Kile Turner, with Norman, Wood, Kendrick & Turner in Birmingham, has tried over 75 cases in courts throughout Alabama. 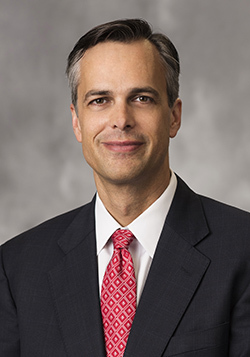 He focuses his practice on general civil litigation, including insurance coverage disputes and bad faith, transportation litigation and construction litigation, but he also handles matters involving product liability, medical malpractice, toxic and mass torts, and appeals. Mr. Turner is a member of the American Academy of Trial Attorneys Premier 100. He has been recognized by Alabama Super Lawyers® for General Defense Litigation multiple times. He was named in the Birmingham Business Journal’s “Top 40 Under 40” in 2006. He was also named to B-Metro Magazine‘s Top Lawyers in 2012 and 2016, and named in BHM Biz‘s Top Lawyers in 2016. Since 1999, Mr. Turner has spoken at Continuing Legal Education programs both locally and nationally. He has also been featured in such legal publications as For The Defense and the Australian Product Liability Reporter.